Sometimes nature puts on a very extravagant display of magical beauty in places that are already among the most beautiful in the world. With the help of tiny organisms, and there are more than one species, the water near the coast can glow blue, green, or red every time it is disturbed. This happens mostly in the tropics, where warm water rich in nutrients encourages the growth of these tiny algae, but it also happens in colder waters, such as Jersey Island in the UK or San Juan Island in Washington State. This spectacular colorful display attracts thousands of tourists, who feel like they are swimming among the stars. 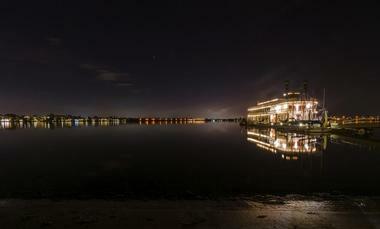 The Gippsland Lakes form Australia's largest network of inland waterways. The lakes are perfect for all sorts of adventures on water, or simply for relaxing on the shore. You can rent a boat to cruise around, go waterskiing, paddle a kayak or canoe, or join a tour to see some rare dolphins and the even more rare glowing algae. This strange phenomenon started with the 2006 bush fires, when subsequent torrential rains washed too much organic matter into the lakes, causing a massive algae bloom. While they did cause some problems by blocking the amount of sunlight received by the lake creatures, the algae glowed a faint bluish light at night every time the water was disturbed. Swimming became a very different experience, especially when skinny dipping. The first time this happened was in 2008 and this bioluminescence is now slowly fading, which is good news for the lake plants and animals. Golfo Dulce is located on the Pacific coast of Costa Rica, in the southern region of the Puntarenas province. Not as popular a tourist destination as Osa Peninsula, Golfo Dulce attracts passionate surfers looking for the world's longest left-hand breaks, for which the town of Pavones is well known. The area is also the location of a dense rainforest within Parque Nacional Piedras Blancas, with spectacular biodiversity and a significant indigenous population. Golfo Dulce is also a great place to observe bioluminescence at Playa Nicuesa Rainforest Lodge. The best time to enjoy this fantastic phenomenon is on a non-rainy, dark moonless night. If you walk to the lodge's boat dock, you will be able to notice that the water glows with every movement. Ask the guide to take you out in a kayak not far from the shore and watch the blue and green fireworks with every stroke of the paddle. 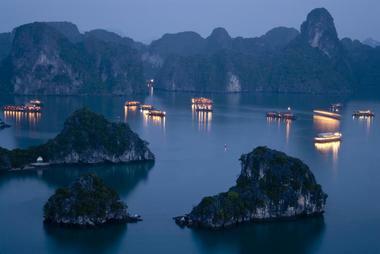 Ha Long Bay is one of the most popular tourist destinations in northeast Vietnam. The bay is well known for its massive limestone islands covered by dense rainforest and surrounded by emerald green waters. Most visitors go around aboard traditional junk boats or sea kayaks, passing by the more famous islands such as the Teapot Islets or Stone Dog. The whole area is famous for great scuba diving, hiking and rock climbing, especially throughout Cát Bà National Park. While popular, Ha Long Bay also gets crowded and at times the water is full of trash, but further along the bay is Lan Ha Bay, less known but equally beautiful. The best way to reach it is from Cat Ba Island. 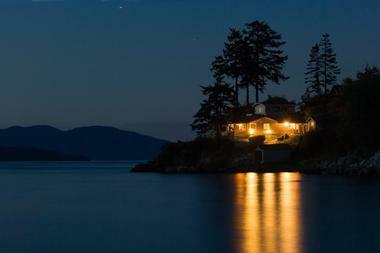 This remote part of the bay is also known for its spectacular bioluminescence. The guides bring their guests here in the middle of the night when there is no moon and let them jump into the dark water. Every move and splash creates waves of magical blue-green light created by the bioluminescent algae. While small, measuring only 9 by 5 miles, Jersey Island off the UK coast is unique in many ways. The history and geography have made it a mix of English reserve and French flair, with a distinct cosmopolitan vibe, timeless harbor, hidden valleys, great shopping, and incredible natural beauty. Jersey is a popular tourist destination for visitors from both the UK and mainland Europe, whether for a short weekend or a longer holiday. 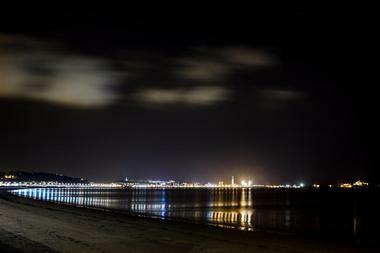 Among the many unique attractions that Jersey has to offer is the spectacular bioluminescence that lights up the sea at night as the ocean recedes to the low tide and star-like flashes of luminous green light twinkle in the shallow water. The best way to experience this phenomenon is to take what is locally called a "moonwalk," a stroll across the shallow water possible only until the tide returns, when the footprints are submerged by 40 feet of water and the light has gone. Located near the town of Falmouth along the vast marshlands of Trelawny, Luminous Lagoon used to play an important role during the heyday of Jamaica's sugar trade. Located at the point where the Martha Brae River spills into the Caribbean Sea, the lagoon had a big wharf where large British vessels once docked. 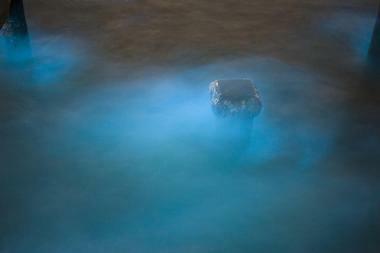 As the sugar trade declined, the lagoon became a popular tourist destination for one unique feature: It is one of the best places in the country to observe bioluminescence - a light produced here by tiny organisms called dinoflagellates that glow in the dark in the shallow warm waters of the lagoon. On a dark night, millions of these little animals light everything they touch, from fish to plants and the occasional swimmer - tour guides bring their visitors to the quiet waters at night and let them swim surrounded by the magical light. Luminous Lagoon is considered one of the largest and most outstanding places for visitors to observe this brilliant spectacle. 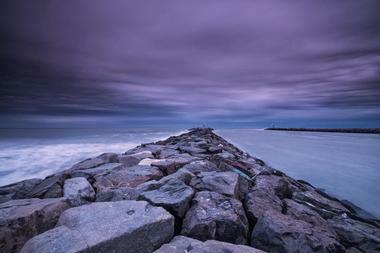 Located where the Manasquan River meets the Atlantic Ocean, Manasquan is a popular tourist destination, especially for families. Stretched along the Jersey Shore, Manasquan has a mile-long sandy beach on the ocean and access to the Manasquan River for fishermen and boaters. The beach is popular with surfers and swimmers and kids love the fine sand. The downtown is full of great shopping and restaurants, all within walking distance from the beach. One of the most curious attractions on Manasquan Beach occurs during low tide when the night is moonless and dark: The bioluminescent algae put on quite a show of eerie glowing red and blue colors every time the water is disturbed. The best show is during the summer months, from July to September. Located in San Diego, Mission Bay Aquatic Park is the biggest water park in the world, a heaven for watersports enthusiasts, kids, families, and regular folk looking to enjoy a day on the water. There is kayaking, paddleboarding, sailing, water skiing, kite surfing, and much more. And outside the water there are wonderful hiking and biking trails, barbecues, picnic areas, bonfires on the beach, and anything else you can think of. There is also a very special treat: During the day, the water sometimes turns red and at night it can glow a bright neon blue due to the large presence of bioluminescent algae. While swimming in the glowing waters is safe most of the time, there are times when the algae emit toxins that are damaging to human health. 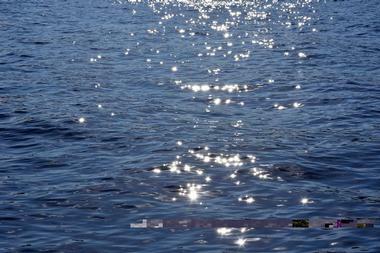 If you cannot swim, take a kayak and paddle around surrounded by the magical glow. Mosquito Bay, better known as Bioluminescent Bay, is a tranquil, warm, shallow bay on the southern shore of the Puerto Rico island of Vieques. 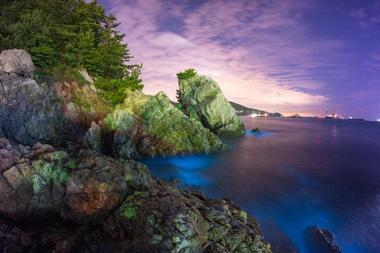 The bay is world famous for its extreme bioluminescence, declared as the brightest in the world. 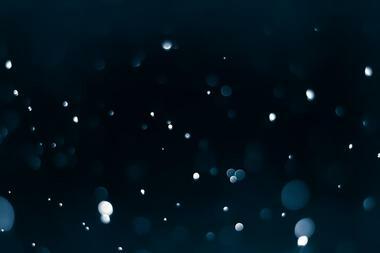 On a dark moonless night or when the moon is young, tiny organisms called dinoflagellates of the species Pyrodinium bahamense emit a bright blue light when disturbed. The conditions are particularly good for these small organisms, and the bright light they produce attracts tourists from all over the world. Take a kayak to the middle of the bay and watch the explosions of light with every stroke of your paddle. Swimming among these dinoflagellates is no longer allowed as too many people have disturbed their fragile balance. Mosquito Lagoon is located in the heart of Florida. Part of the Atlantic Intracoastal Waterway and the Indian River Lagoon system, it stretches between Ponce de León Inlet and the north end of Merritt Island. The lagoon splits the city of New Smyrna Beach, running next to the Canaveral National Seashore, the Merritt Island National Wildlife Refuge, and the Kennedy Space Center. The area offers wonderful boat tours through the canals, mangroves, and inlets, and every summer it becomes a place to come and see rare bioluminescence. The tour guides take their guests out into the lagoon at night when there is no moon to see the bright blue and green lights that flash with every movement of the boat. You can also paddle your own kayak and watch the stream of light spilling off your paddles or trailing behind your kayak. Padang Bai is a popular small coastal town near Candidasa in eastern Bali. The town and its ferry port are the starting point for many touristy destinations such as Lembar on Lombok, the Gilis, and other Lesser Sunda Islands. Pandang Bai is one of the busiest in Bali, with thousands of tourists heading to Lombok and its wonderful white sandy beaches. Diving is one of the most important activities, especially in Blue Lagoon, Tanjung Bungsil, and the Padang Bai channel. It is especially spectacular at night, when divers can observe the bioluminescence created by certain species of plankton. When they turn off their dive torches, the divers find themselves surrounded by the eerie glow of blue and green lights. Located in Washington State, far away from warm tropical waters, San Juan Island has its own attractions - spectacular surrounding landscape, pebbled beaches, pods of passing orcas, and one of the largest lavender farms in the country. Surprisingly, the waters around San Juan Island are also known for spectacular bioluminescence, normally encountered in warm nutrient-rich tropical waters. The reason for this phenomenon so far north is the constant tidal exchange that brings water rich in nutrients, the major condition for the growth of bioluminescent algae. The best time to observe this eerie green light is just before darkness, when the algae accumulates in the shallow bay. 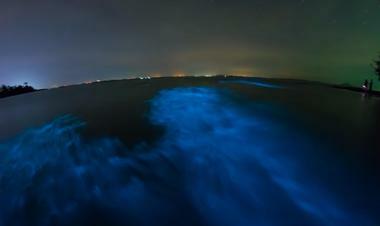 The species of organisms that create bioluminescence in the San Juan waters are dinoflagellates known as Noctiluca. Ton Sai, located not far from the popular Thai tourist destination of Krabi, is a beach popular with backpackers looking for inexpensive accommodation as well as rock climbing crowds who come to explore the excellent rock climbing opportunities in the area. The beach is not particularly nice and at low tide it becomes rocky and unsuitable for swimming. But, it has one very special feature that is characteristic to places on Thailand's west coast, namely year-round bioluminescence. 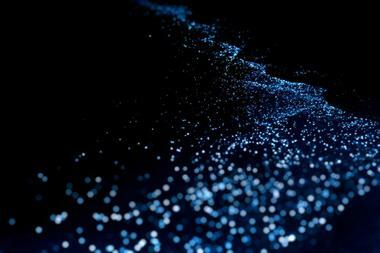 A dense accumulation of phytoplankton glows in the dark and creates quite a show. Tour guides take advantage of this by organizing boat tours that start with island hopping, swimming, and snorkeling and end with a dinner on the beach and a boat trip through the dark to the best spot for observing bioluminescence. Guests are always mesmerized when swimming surrounded by bright spots of eerie light that look like they are coming from the water itself. Located north of La Jolla and south of Del Mar near San Diego, Torrey Pines State Beach is a popular beach surrounded by a scenic landscape caused by coastal erosion from the nearby Torrey Pines State Reserve. The beach is very popular with local surfers. 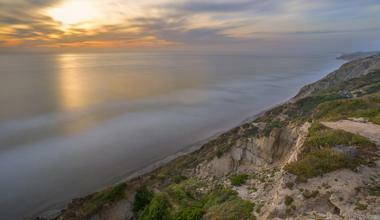 Above the beach looms a 300-foot-high limestone cliff. 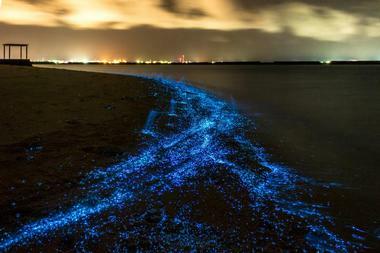 The beach is famous for its occasional bioluminescence. Curiously, during the day the waves glow red while at night they are blue. A greenish glow can sometimes be observed at the bottom of the sandstone cliff as it plunges into the water. The cliffs end at the northern end of the beach, where the salt marsh estuary known as Los Peñasquitos Lagoon spills into the ocean. Located on the northern coast of the Japanese island of Honshu, Toyama Bay is divided between the Ishikawa and Toyama prefectures. The bay is normally popular for great fishing, but most tourists come to see the strange mirages that appear on the horizon in the winter months as well as to witness the bioluminescent phenomenon created by the firefly squid that spawn in these waters. The squid normally live in deeper water, but a canyon in the bay creates a current that pushes them to the surface. There are tour boats from the Namerikawa Fishing Port that take tourists to observe the squid. In the same town there is a small museum dedicated to this curious species of squid. Vaadhoo Island in Raa Atoll in the Maldives is a tiny island with only about 500 permanent residents, just another spot of heaven on Earth like so much of the Maldives. As if sparkling white sand beaches, crystal-clear waters, and lush tropical jungle weren't enough, Vaadhoo has something that makes it even more special than other islands of its kind - here you can swim in the Sea of Stars. This fanciful name refers to the bioluminescence that occurs regularly in the waters around the island. Every time something disturbs the water, such as a movement of the kayak paddle or a swim stroke, the water glows an eerie blue, as if the night sky is being reflected in the sea. 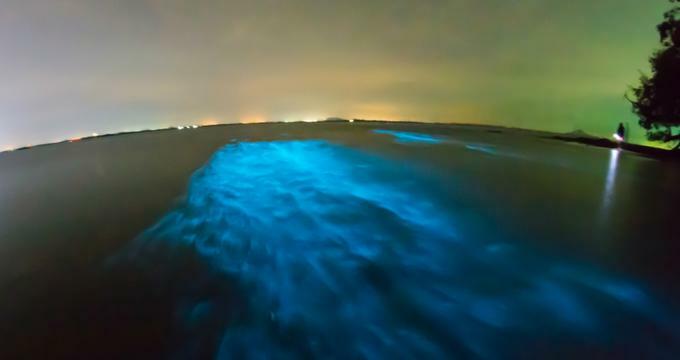 The phenomenon is caused by tiny microorganisms called dinoflagellates, and the beautiful glow is actually a defense mechanism against predators. Not as romantic as a sea of stars, just nature at work.